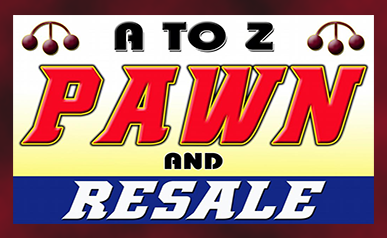 A to Z Pawn & Resale is dedicated to selling a variety of used and new items, to interest any customer. We pride ourselves in non-specialization, and strive to find the most fine-looking, interesting, and outrageous merchandise to sell in our shop. Our praised consignment service is a very easy and rewarding approach to selling your items. Since you set the price on your items, you can walk away with the cash you were expected to receive after the sale is made! What do you look to put on Consignment? At A To Z, we like to stay unique, unusual, and presentable when it comes to accepting items on consignment. CLICK HERE to find out the items we normally accept at the shop. To put your items on consignment, we recommend that you call us at (708) 974-4444 to make an appointment with us. Walk-ins may not be able to receive immediate service on their items. 1 ) Bring in an item/s that we will accept to sell. 2 ) Set the price you want the item to sell for. 3 ) We'll display your item in the store. 4 ) Wait anywhere from a couple of hours, to a few months for your item/s to sell. 5 ) Pick up the CASH you earned for your sale at any time. If an item is sold on consignment, the consignor usually receives 50% of the final sale price. We are flexible on commissions for the item/s of higher value. If your item does not sell, we will ask for you to pick it up. We are always in demand of new merchandise. Just schedule an appointment with us today, or call to find out more information about our consignment services so you can earn some money from the items you no longer want!